On Friday, June 17, Golden Boy Promotions returns to the Rio Grande Valley to feature one of the Valley's own, Omar "Panterita" Figueroa Jr. against Puerto Rico's Eric Cruz in the ten-round "Sólo Boxeo Tecate" main event at the State Farm Arena in Hidalgo, Texas. A two-fisted banger who has earned the nickname "Panterita" for his ability to dismantle any opponent in his path, 21-year-old Omar Figueroa (11-0-1, 9 KO's) has blasted his way to nine knockout victories in twelve fights since his professional debut in 2008. 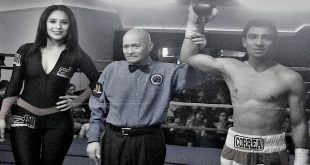 Weslaco's Figueroa is coming off of a spectacular technical knockout victory over John Figueroa of Puerto Rico on the undercard of the April 23 Showtime event headlined by Vic Darchinyan against Yonnhy Perez. Eric Cruz (11-6-3, 11 KO's) has won each of his 11 professional fights by knockout, making him a serious threat to anyone who steps into the ring with him. A 23-year-old from Toa Baja, Puerto Rico, Cruz has bounced back from a rocky start to his career to win four fights in a row in 2011, all by first round knockout. Showing his best form yet, Cruz will undoubtedly be Figueroa's toughest test to date. When you're discussing the top prospects in boxing today, one of the first names to come up is Maryland phenom Gary Russell Jr. (15-0, 9 KO's). At just 23-years-old, the ultra-talented featherweight already owns a first round technical knockout win over former World Champion Mauricio Pastrana, and with two wins in 2011 already, the 2008 U.S. Olympic team member looks like he is on his way to big year. Mexican southpaw Antonio "Barrio" Meza (24-9-1, 16 KO's) is a tough opponent for anyone he faces and he is determined to score an upset when he takes on Russell on June 17. 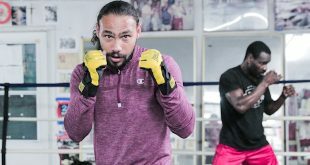 The 28-year-old has been fearless when it comes to taking on top talent like Cesar Vasquez, Daud Yordan and Victor Terrazas, and he believes that now is his time to shine. Houston's Jermell Charlo's (14-0, 7 KO's) professional career began in 2007, but last year, the 21-year-old made his presence known with early knockouts of Adan Murillo and Quinton Whitaker as well as with a career-best win over previously unbeaten Luis Enrique Grajeda last November. Charlo will look to make another statement on June 17and keep his "0" intact in his first fight of 2011. Dallas' Larry Smith (9-3, 6 KOs) ran out to an 8-1 start to his professional career before hitting some bumps in the road in the last year. Smith knows that a move up the ladder and Texas pride are on the line on June 17, so expect the best Larry Smith you've ever seen. A hard hitting undercard will also feature local favorites in four round fights including Alton featherweight Oscar Tovar Jr. (1-0) who battles Brownsville's Roberto Perez (2-7), McAllen junior welterweight Angel Hernandez (1-0, 1 KO) who squares off against debuting Juan Reyna and McAllen welterweight J.D. Charles (6-2, 1 KO) who faces an opponent to be named. 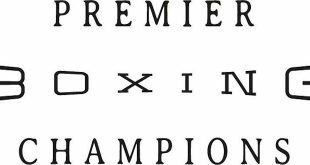 Figueroa vs. Cruz, which headlines a night of world-class professional boxing, is presented by Golden Boy Promotions in association with Cavazos Boxing Promotions and sponsored by Cerveza Tecate, DeWalt Tools and AT&T. Doors open at the State Farm Arena at 6:00pm, the first bell rings at 7:00pm and the TeleFutura broadcast begins at 11:30pm ET / 8:30pm PT (10:30pm CT). 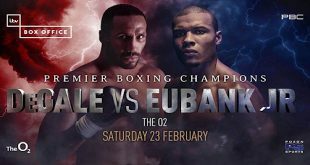 Fans at home can also be part of the action by voting for the fighter in the main event who displayed the most character during the telecast by sending a text message to 55333.